This article illustrates how the use of the SOLO Taxonomy allowed our students to progress from shallow to deep thinking. Of the five essential elements in the PYP, is there one that often gets overlooked when planning units of inquiry? The planner prompts us to think explicitly about attitudes, skills, action and concepts. But what about knowledge? It can sometimes be challenging for teachers to identify a body of knowledge for a particular unit; it can feel uncomfortable identifying specific knowledge to be learned because it can direct the inquiry in a way that takes control away from students. I would argue, however, that identifying some essential knowledge needed to understand a central idea gives more power to the students and encourages them to become self-directed, assessment capable learners. In Making the PYP happen (2009), the section on whether it is possible to “identify a particular body of knowledge for PYP schools” is addressed by explaining that, although there are some “core commonalities” that represent shared human experiences (which led to the selection of the six transdisciplinary themes in the PYP framework), schools should develop their scope and sequences to reflect their unique circumstances. But do our scope and sequence documents always document the knowledge associated with units of inquiry? Lynn Erickson’s Structure of Knowledge (2002) is often used in the PYP workshops to illustrate how concepts and knowledge interact to help students form a principal generalization (similar to the central ideas we all have in our programmes of inquiry). The foundations of being able to form these principal generalizations (or understand a PYP central idea) are based on identifying the essential facts that will interact with the chosen macro and micro concepts (or, as we call them in the PYP, key and related concepts). The process of [students] developing sufficient surface knowledge to then [enable them to] move to deeper understanding such that one can appropriately transfer this learning to new tasks and situations. Hattie states that there is a right time for interventions and the use of deliberate learning strategies. Based on his 800+ meta-analyses of now over 50,000 research articles, Hattie has argued that allowing students to inquire without structure too early does not work, having an effect size of only 0.31, less than an acceptable year’s growth (the 0.4 ‘hinge point’ which defines a typical year’s growth). In the SOLO model, there are four levels of thinking. At Seisen International School we have simplified the names of these levels for use with our students: unistructural (which we have renamed ‘one idea’), multistructural (which we have renamed ‘many ideas’), relational (which we have renamed ‘connecting ideas’) and extended abstract (which we have renamed ‘going further’). The first two levels are surface level learning and require students to find information and collect ideas. The last two require deeper thinking where students have to process the information they gathered in the first two levels. If students are not at a stage where they have an idea about the concept, topic or subject, they are said to be at the pre-structural stage (which we renamed ‘getting started’). At Seisen we have had some success adopting the SOLO Taxonomy. Students refer to the levels when reflecting on their progress and setting goals. It has become our language of learning, having aligned it with our own inquiry cycle (Getting Started – Investigating – Connecting Ideas – Going Further). Using a list of appropriate verbs at each level, learning engagements are designed across the continuum so that students can identify where they are and select their next steps. The students become evaluators of their own learning and teaching teams have a tool to use to answer the question posed in box 3 – What are the possible ways of assessing student learning in the context of the lines of inquiry? What evidence will we look for? By the time the students approach their exhibition year, consistent use of the tool is enabling students to plot their own learning progressions using the SOLO verbs at each stage of their independent inquiry. Isn’t this our goal as teachers to structure inquiries in a way that encourages students to become independent, self-directed, assessment capable learners? Here you can find links to some grade-level examples of the SOLO Taxonomies being used for units of inquiry on our blog. Are you currently using SOLO in your PYP school? Are you interested in learning more about SOLO? Please contact us at pyp.curriculum@ibo.org. 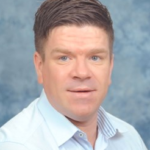 Michael Hughes an experiences PYP Coordinator, currently into his fourth year at Seisen International School, Tokyo. Before this he worked in international schools in Singapore and Jordan and has ten years experience in the PYP. He is a work- shop leader in the Asia Pacific region. Interesting. You raise some pertinent points. I think this is a great approach to teaching and learning. A thought provoking blog post! A very neat little example of this is given by Jan Van Hove on his blog (http://janhove.github.io/design/2015/03/16/standardised-es-revisited). We must stop relying on poor metrics to decide what is and what is not important in education. Thanks for the comment, Fred. The decision we made at our school to have a guided approach to inquiry wasn’t based merely on Hattie’s work, though I don’t see the harm of quoting him and his effect sizes here. Free inquiry or inquiry without structure is not something we are implementing as we want to guarantee a curriculum for all students. We’re not saying it’s wrong or that it doesn’t work (though I personally don’t think it’s the most efficient way of learning), we’re saying that there are approaches that allow students to inquire deeper once they’ve acquired ‘surface’ understanding, or essential knowledge. My article is pointing out that this IS one of the essential elements of the PYP but one that is often ignored or overlooked in planning. Knowledge learning outcomes can still be broad enough to offer students choice so that their learning is personalised. I would be really interested to hear of schools where free inquiry is the dominant approach to teaching (beyond the early years, where free inquiry and creative play is essential to learning) – how is student progress and growth recorded and reported on? How do students know where their learning is going? How do they reflect and feedback to each other? How do they know what they’re reflecting and feeding back on? How do they find valid evidence of their own learning (i.e. how do they know that what they think is evidence of learning IS evidence of ‘learning’ and not something they simply enjoyed ‘doing’?)? I agree we mustn’t rely on ‘poor’ metrics, but also have to be careful about relying on anecdotal claims of successful ‘free’ inquiries without strong evidence of learning. Look beyond (or even ignore) the Hattie references in the article here, and the approach, I feel, is still as strong and effective. I appreciate this peek into your school’s experience. I love the student’s reflections in the video. I think this would be a powerful tool, especially for the reflections in Exhibition. Thanks for sharing! I agree that knowledge is an important component of education, and would suggest that what we teach is as important as how we teach it. SOLO taxonomy sheds some useful light on early years education. Thank you for your thoughts about an interesting aspect of PYP education. What are some effective and practical ways to use SOLO taxonomy in early years education? Thank you for sharing. I’ve just started using SOLO in my classroom and I love it. Thank you for writing this. I found it very interesting to read. I have been exploring how we can create deep learners in the classroom. I particularly enjoyed your discussion about developing surface knowledge to create a deep understanding and therefore deep learning. In particular Hattie’s research really supports this. A point I have been arguing but shut down many times. I also like the way you have renamed this as essential knowledge. People jump at the phrase surface knowledge and turn their nose up at it straight away. 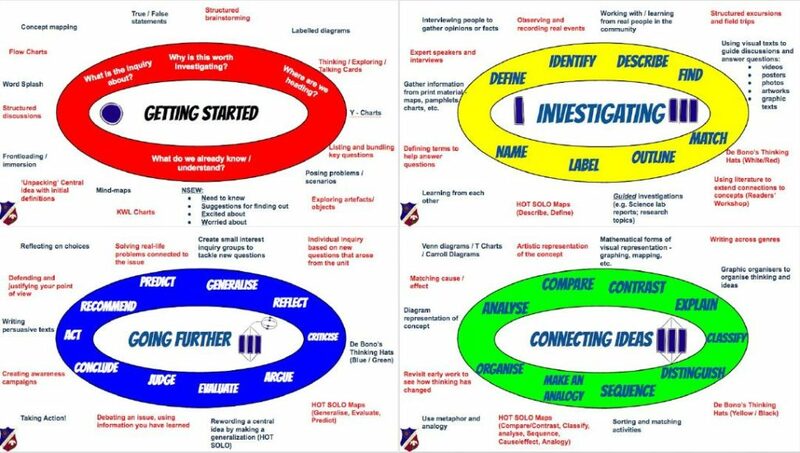 I have also started to become a fan of SOLO taxonomy, integrating it into my elementary PYP physical education classes. It acts as a simple framework for assessment rubrics and an excellent guide for deepening student understanding. I have combined it with Plickers and Plagnets to create an easy method for students to self assess through the unit of inquiry. Hi Michael, I enjoy reading other people’s thinking around SOLO. Just a thought I am unsure why the correct terminology for SOLO Taxonomy levels requires any simplifications. Our 5 year olds cope well with the terms and can say them and explain them correctly. In addition I believe the reaming detracts form the Taxonomy structure. Hi Sonja. Thanks for the feedback. We decided to change the language to help our wider community understand the terms, many of whom do not speak English as their first language. I’m not sure I agree it detracts from the structure – would it distract from the structure if it was translated into another language (e.g. using Rangaranga Takitahi, Rangaranga Maha rather than uni/multi-structural, using Pam Hook’s resource translations for the Maori language)? We’re satisfied that our students understand the structure and use our terms to explain the meaning of the stages correctly. Hi, Michael! Thanks for sharing this. I like how your article argued about important elements in teaching, and how the SOLO taxonomy is accessed and used by the students to support and analyze own learning process and growth. Just a question- do the students have to accomplish or show evidence for all the ‘I can’ statements in each level? Or they can choose to provide evidence for some? Your thoughts? Leave a Reply to Heather Clark Click here to cancel reply.